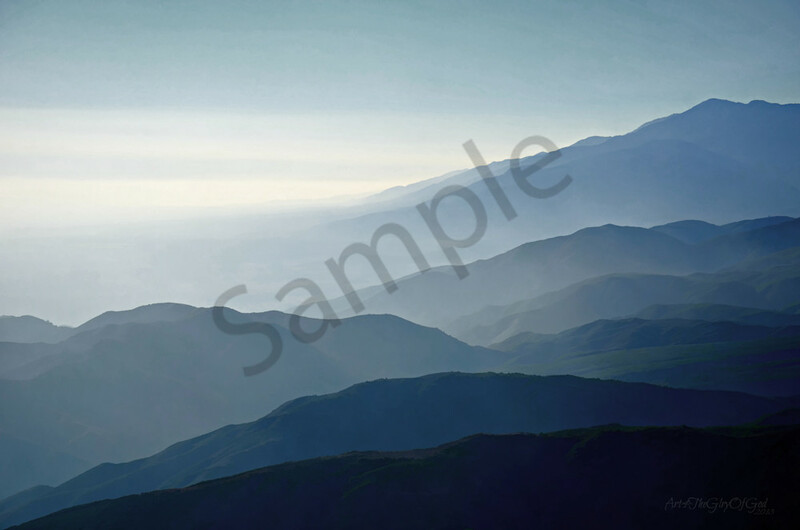 Digital painting photograph from the San Bernardino Mountains in California just east of the Los Angeles area. One of the benefits of living in southern California is being able to go up to the mountains for a half day of skiing and then down to the beach for a relaxing sunset all in the same day. I loved how the layers of light fell upon the mountain tops in this scene and so we had to pull over to capture it.